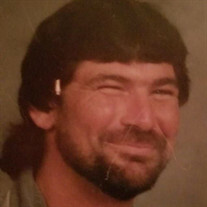 Arthur Dewayne "Wayne" Thornton, 55, of Starke, Florida passed away on May 30, 2018. Wayne was born in Jacksonville, FL on February 21, 1963 to the late Arthur and Marilyn Thornton. He is preceded in death by one sister, Vicki Hendrix. One brother in law, Jerry Henfrix. Wayne leaves his beloved family to cherish his memory. Wayne is survived by his wife, Charlotte Thornton. Son, Michael (Holly) Thornton. Daughter, Donna (Vernon) Clemons. Step daughter, Terri Griffis. Two sisters; Donna Bennett and Paula (Randy) Grow. He is also survived by 8 grandchildren. Wayne was loved by many and will be missed.